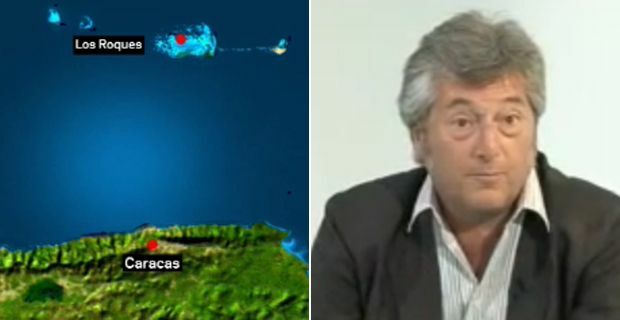 A very tragic coincidence occurred yesterday in Venezuela: a small plane carrying four Italians, including Vittorio Missoni, son of the famous fashion designer Ottavio, disappeared from radars near the archipelago of Los Roques. Exactly five years ago, on 4th January 2008, in the same place, another aircraft literally disappeared without a trace, carrying eighteen people, eight of which were Italian tourists. The news has been confirmed by local authorities and according to reports, the 1968 twin-engine white Norman BN-2 aircraft disappeared yesterday morning around 11 am local time, shortly after take-off from Los Roques, en route to Maiquetia airport, Caracas. Among the passengers was Vittorio Missoni, as well as his wife Maurizia Castiglioni, the entrepreneur Guido Foresti, Elda Scalvenzi, pilot German Merchan, co-pilot Juan Fernandez and a couple of other people. Pietro Foresti, the son of Guido, has declared: "The only thing we know is that they have interrupted the search", adding that local authorities have decided to resume the rescue operation at dawn. The Venezuelan diplomats said that many boats and two-three national aviation aircrafts were involved in the search of the missing plane, which started immediately after several fishermen reported seeing the tourist aircraft crash into the sea in the archipelago. The Foreign Ministry has immediately alerted all Venezuelan news channels and is now working in close collaboration with the Italian Consulate and the authorities in Caracas. The sea search will resume on 29th January. Mario Pica, a former Italian Air Force pilot and adviser to the families of the eight missing Italians, explained that will be a "decisive operation": "If we do not find the plane, it means it never crashed and we will have to look elsewhere." The circumstances of this incident are very tragic and very disturbing, as on the very same day of five years ago, another light aircraft disappeared without a trace in the same area. The bodies of the people travelling on that flight were never found - except for the co-pilot - and just last week, Italian weekly magazine 'Oggi' published an exclusive article speculating over the missing plane. The mag blamed the disappearance on four stowaways drug mules, allegedly hijacking the small plane in order to use it for their own illicit trades.